“Full Contact” is a documentary about roller derby that I edited using Final Cut Pro X. The film was a group project for a videography class in my third year at the University of Guelph-Humber. I also assisted with equipment setup and operation during production. 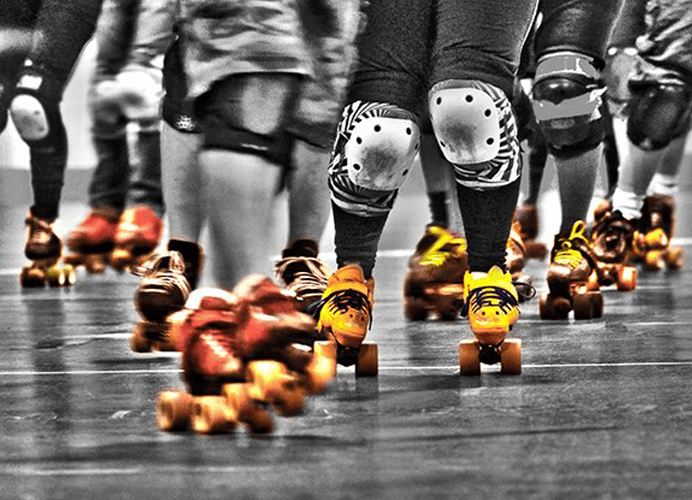 Synopsis: Roller Derby has experienced a significant rebirth in the 21st century, and has become so much more than the flashy, flamboyant sport it was in the 1970’s. “Full Contact” recalls this underground subculture, telling a story of personal expression, empowerment, family, friendship, and community. Without the devotion and passion of the unique individuals running the sport, the derby culture would not be the thriving community it is today. Filmed in Guelph and Toronto, Ontario, ”Full Contact” aims to break down the walls and erase the stigma associated with roller derby, educating viewers about what the sport has become, what it means to the players, and how it has changed their lives for the better.